Landsat 8 (formerly the Landsat Data Continuity Mission, LDCM), a collaboration between NASA and the U.S. Geological Survey, provides moderate-resolution (15 m–100 m, depending on spectral frequency) measurements of the Earth’s terrestrial and polar regions in the visible, near-infrared, short wave infrared, and thermal infrared. Landsat 8 provides continuity with the more than 40-year long Landsat land imaging data set. In addition to widespread routine use for land use planning and monitoring on regional to local scales, support of disaster response and evaluations, and water use monitoring, Landsat 8 measurements directly serve NASA research in the focus areas of climate, carbon cycle, ecosystems, water cycle, biogeochemistry, and Earth surface/interior. Unprecedented changes in land cover and use are having profound consequences for weather and climate change, ecosystem function and services, carbon cycling and sequestration, resource management, the national and global economy, human health, and society. The Landsat data series, begun in 1972, is the longest continuous record of changes in Earth’s surface as seen from space and the only satellite system designed and operated to repeatedly observe the global land surface at moderate resolution. Freely available Landsat data provide a unique resource for people who work in agriculture, geology, forestry, regional planning, education, mapping, and global change research. The Landsat 8 satellite payload consists of two science instruments—the Operational Land Imager (OLI) and the Thermal InfraRed Sensor (TIRS). These two sensors provide seasonal coverage of the global landmass at a spatial resolution of 30 meters (visible, NIR, SWIR); 100 meters (thermal); and 15 meters (panchromatic). The spectral coverage and radiometric performance (accuracy, dynamic range, and precision) are designed to detect and characterize multi-decadal land cover change in concert with historic Landsat data. Coordinated calibration efforts of USGS and NASA are part of the Landsat 8 calibration strategy. The Landsat 8 scene size is 185-km-cross-track-by-180-km-along-track. The nominal spacecraft altitude will be 705 km. Cartographic accuracy of 12 m or better (including compensation for terrain effects) is required of Landsat 8 data products. Landsat 8 includes evolutionary advances in technology and performance. The OLI provides two new spectral bands, one tailored especially for detecting cirrus clouds and the other for coastal zone observations, and the TIRS collects data for two more narrow spectral bands in the thermal region formerly covered by one wide spectral band on Landsats 4–7. Additionally, Landsat 8 is required to return at least 400 scenes per day to the USGS data archive (150 more than Landsat 7), increasing the probability of capturing cloud-free scenes for the global landmass. Recently, Landsat 8 has been acquiring ~725/day and Landsat 7 has been acquiring ~470 scenes/day. That’s ~1195 new Landsat scenes per day into the USGS Landsat archive! 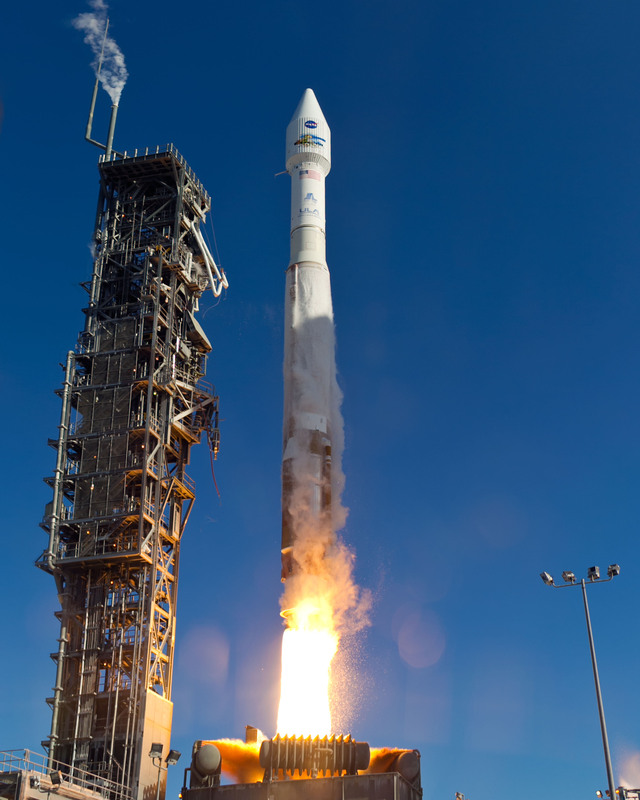 Landsat 8 is operating normally after its successful launch on February 11, 2013. Landsat 8 data are freely available from the USGS. The Landsat 8 mission is a partnership between NASA and USGS that builds upon a strong relationship developed during previous Landsat missions. NASA’s expertise in Earth observation missions and USGS’s expertise in data archives and remote sensing data processing provides for a mutually beneficial partnership. 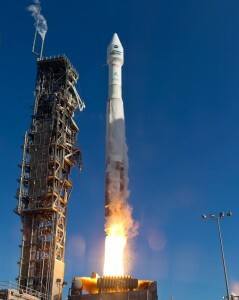 NASA’s Landsat 8 responsibilities include development of the OLI and TIRS instruments, spacecraft, launch vehicle, implementation of the USGS-funded Mission Operations Element, and mission on-orbit verification. NASA acquired most elements of the space segment from industry with Goddard Space Flight Center (GSFC) acting as the mission integrator and leading mission systems engineering. TIRS was built in-house at GSFC and launch services were provided by Kennedy Space Center. The Landsat 8 mission operations center is at GSFC. USGS is providing the ground data processing systems which are located at the USGS Earth Resources Observation and Science (EROS) center. USGS acquired the ground data processing systems from industry. The flight operations team is also provided by USGS through an existing NASA contract. USGS funds and leads the Landsat science team. Upon completion of on-orbit verification, USGS began to lead post-launch calibration activities, satellite operations, data product generation, and data archiving. Launch services were provided by the NASA Kennedy Space Center (KSC). The launch vehicle was an Atlas-V rocket and was managed by KSC and procured from United Launch Alliance. The LDCM Ground System includes all of the ground-based assets needed to operate the LDCM observatory. The primary components of the Ground System are the Mission Operations Element, Collection Activity Planning Element, Ground Network Element, and the Data Processing and Archive System. The Missions Operations Element (MOE) was provided by the Hammers Corporation. The MOE contract was awarded in September 2008. The MOE provides capability for command and control, mission planning and scheduling, long-term trending and analysis, and flight dynamics analysis. The overall activity planning for the mission is divided between the MOE and Collection Activity Planning Element (CAPE). The CAPE schedules activities on a path-row scene basis. The MOE converts CAPE-generated path-row scenes to observatory activities, schedules these and any other detailed observatory activities, and generates commands necessary to collect the identified scenes and operate the observatory. The Ground Network Element (GNE) is comprised of two nodes located at Fairbanks, Alaska and Sioux Falls, SD. Each node in the GNE includes a ground station that will be capable of receiving Landsat 8 X-band data. Additionally, each station provides complete S-band uplink and downlink capabilities. The Data Processing and Archive System (DPAS) includes those functions related to ingesting, archiving, calibration, processing, and distribution of Landsat 8 data and data products. It also includes the portal to the user community. The Ground System, other than the MOE, is developed by USGS largely through their support service contract.